Looking forward to new 2019 year, 2018 was great year for me personally, working with our awesome eSteem team, community and friends to build best products. Thank you for people who helped along the way and being here, learned quite a lot, multiple life lessons as well as business experiences which I am grateful for! Bright future ahead of us!!! What are you doing on last day of 2018? What are your plans in 2019, what are you eagerly waiting during that year? Wish you all the best and keep generous in steemit.You help us grow.Thank you for the @esteemapp. Your UA account score is currently 8.510 which ranks you at #2 across all Steem accounts. In our last Algorithmic Curation Round, consisting of 268 contributions, your post is ranked at #2. Congratulations! For 2019, I will take Steem contents to libraries, reading clubs/hubs and bookshops in Nigeria. I see Steem grow again! Happy new year to you too 🙂 am grateful to have you and the team who take care of us. Happy new year too! Thanks for esteem. What are you doing on last day of 2018? - Working, working, working, and then some more work. What are your plans in 2019, what are you eagerly waiting during that year? - Working, working, working, and then some more work. Interrupted by the need to eat, exercise, sleep, and travel. Happy new year to you too. It was great to hang out with you at Steemfest. Next year I want to do more running, make more music and sign some more people up to Steem! Best wishes in your projects and endeavours in 2019! May the New Year be a great year for us all! @mukhtarilyas, hopefully in 2019 everything will be better. @good-karma. eSteem is always OK. and still exist. It was good year and next I hope to be better! I wish you a very successful New Year! Happy New Year, @good-karma. And keep up with the good work with eSteem. Fabulous program. 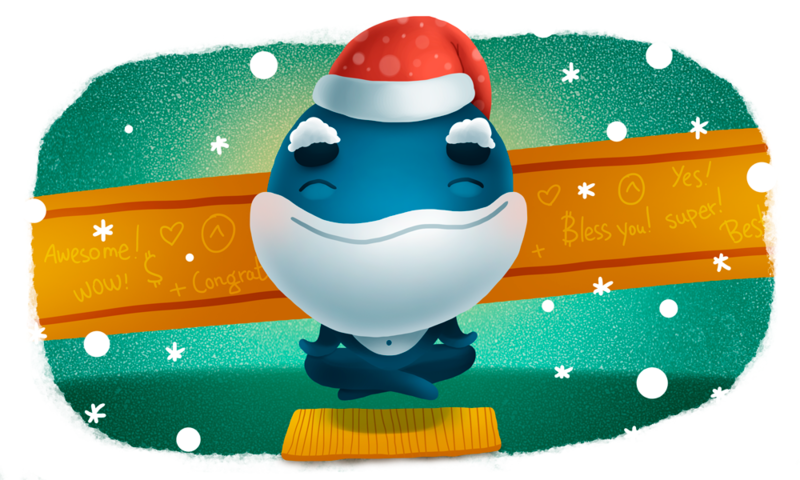 Happy New Year @good-karma, may the New Year bring you happiness and prosperity and thank you! Happy new year to you too @good-karma! We posted our Year End Review on the very last day of 2018 and probably like yourself, we've got HUGE plans for 2019!! Happy new year @good-karma and esteem. I wish we all have a wonderful time on steemit. My family last day in 2018. We make joyness, go the garden check longan tree and they are ripe so we picked it. We also picked rambutan. We have ponds. We catched catfish to prepare the welcoming new year. We have many gifts in the last day in 2018. And then we waiting sh in 2019 we can get goof harvest, iclude goof athmosphere in steemit and support by your product, Esteemapp of course. I pray for every one we can get our success. Happy new year @good-karma, I pray this year brings to us all the goodies it has in store and reduce the pains it has to offer. Yeah @good-karma i am very happy to celebrate the new year,, we have our new spirit and we must with good original contents.